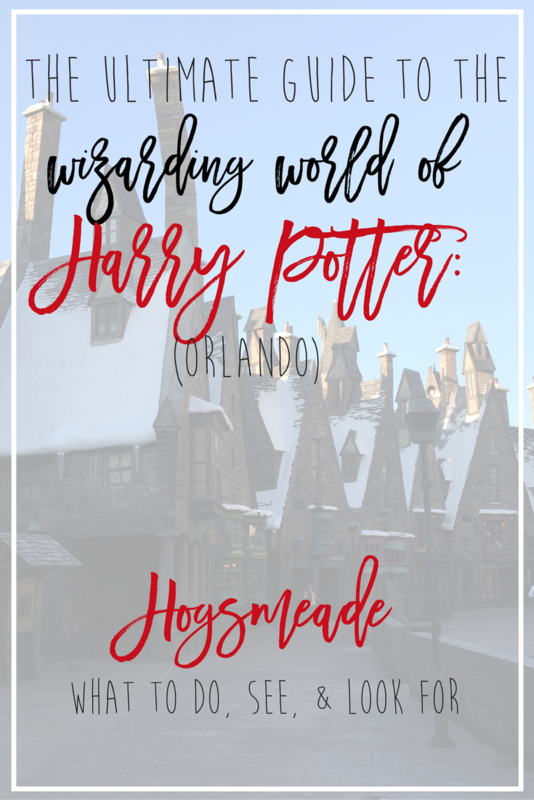 Last week, I started sharing my Ultimate Guide to the Wizarding World of Harry Potter -Orlando. 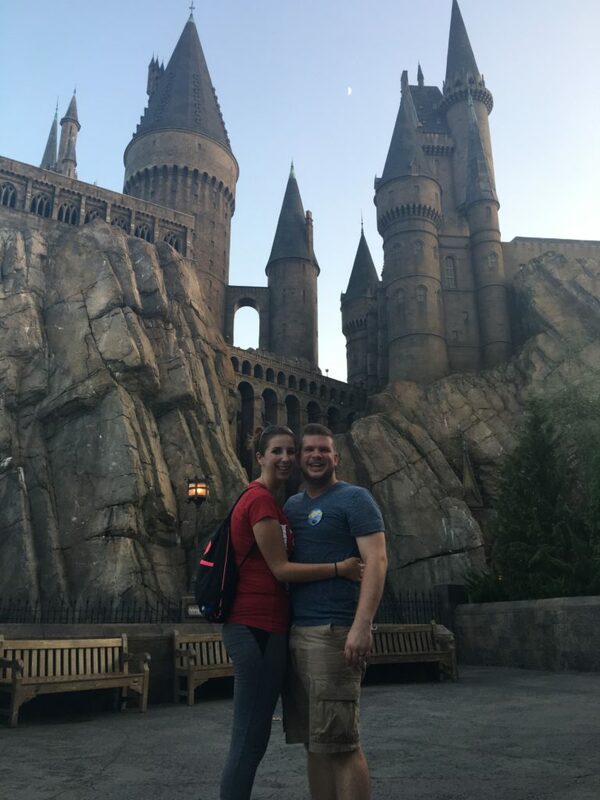 Dustin and I got to spend two days at Universal Studios Orlando, mainly to fulfill my dream of becoming a wizard and to celebrate my 10 Years Cancer Free anniversary. It was more magical than either one of us imagined, and we learned a lot about making the most out of our trip in the short time we were there. 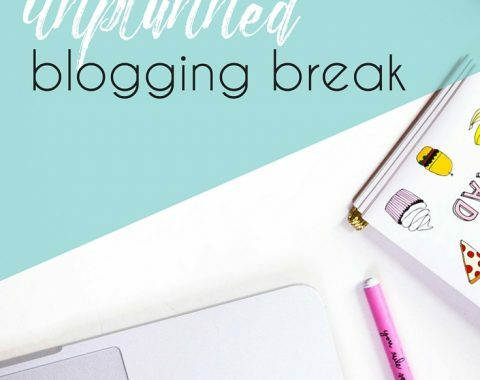 If you want to read the first part of the guide (where I covered where we stayed and when we went) you can access that here. 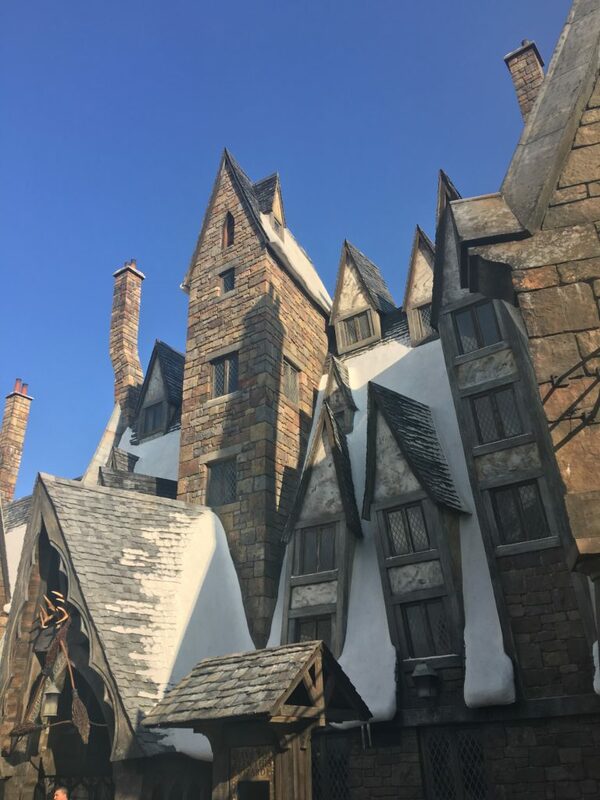 Today, I wanted to share all the ins and outs of Hogsmeade, which is one of the two sections that makes up the Wizarding World of HP. Hogsmeade is part of Islands of Adventure and because we stayed at Cabana Bay, we got in an hour before the park opened!! Walking into Hogsmeade for the first time is an absolute dream. It looks EXACTLY like it does from the movies, down to the crooked chimneys and snow covered roofs. As you first walk under the arch, you can see the Hogwarts Express, billowing steam. There is usually a conductor standing right by it, so this makes for a great photo op. All of the employees are dressed up in Wizard’s robes and stay in character as you talk to them, referring to the muggles visiting the village for the day and making cute jokes at their peculiarities. After you pass the Hogwarts Express, you literally walk down the cobblestone streets, past the shop windows and doors and are completely surrounded by the music from the Harry Potter soundtrack. 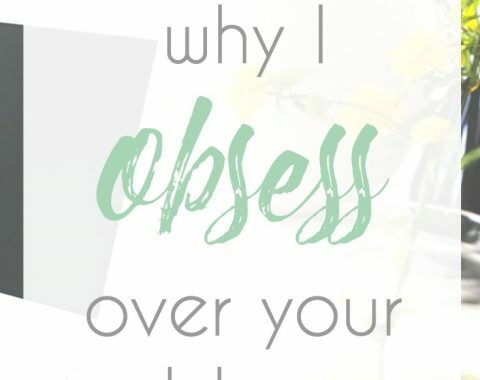 You are completely transported! As you turn the corner at the end of the street, you are met with the sight of Hogwarts Castle, complete with the winger boars at the entrance. While the castle is clearly built to scale, the details are not overlooked and it still looks very impressive looming in the sky. 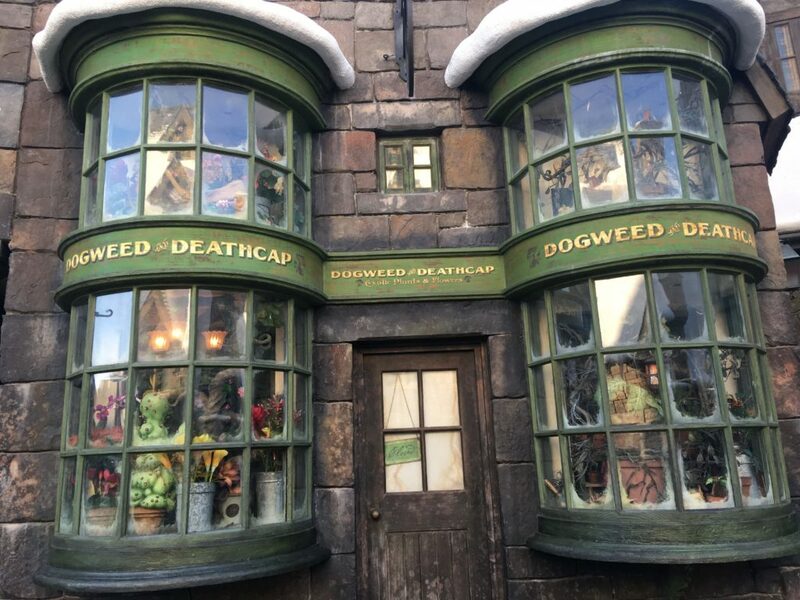 There are several shops along Hogsmeade that you can actual walk inside and do some shopping along with several that just have storefronts! 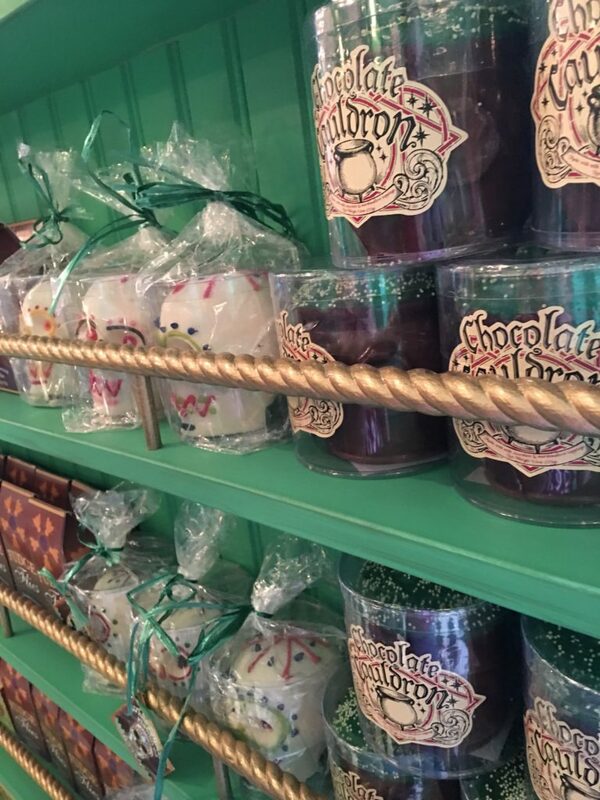 Zonko’s Joke Shop – It’s my understanding that this used to be a full shop before they opened up Diagon Alley, but now it’s just a window front (and Honeydukes expands through it in the back) because all of the joke products were moved to Weasly Wizard Wheezes. So, don’t be dismayed about this; you will still have access to your fanged frizbees and extendable ears, just in Diagon Alley. Dervish and Bangs – This shop is where you can get all of your “typical” soulveniers, such as shot glasses, keychains, notebooks, quills, etc. It’s attached to Ollivanders, so you can also look at the wands! Ollivanders – This is kind of a shop and a show combined. You can wait in line and participate in the wand selection ceremony, where the Wizard running the shop will choose one person to assist in finding a wand. He will give that person various wands and after they swish them around, some kind of accident will happen until they find THE wand. It’s a really fun experience to watch and worth it if the line isn’t too long. 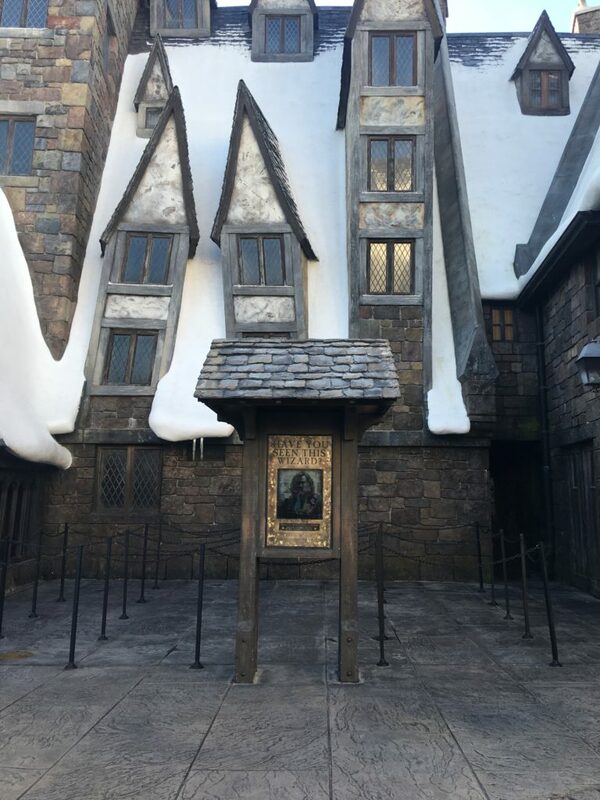 Harry Potter and Forbidden Journey 4/5 stars– This is the biggest attraction in the Hogsmeade section of the park and it is housed in the Hogwarts Castle. It’s a motion-based ride that incorporates both digital and animitronic elements and follows Harry, Ron, and Hermonie on a broomstick ride gone wrong. First, I will say that this ride is probably the one that has the worst reputation for motion sickness. My goal was to ride this as soon as possible and before I put any food in my belly so that my motion sickness would be as minimal as possible. 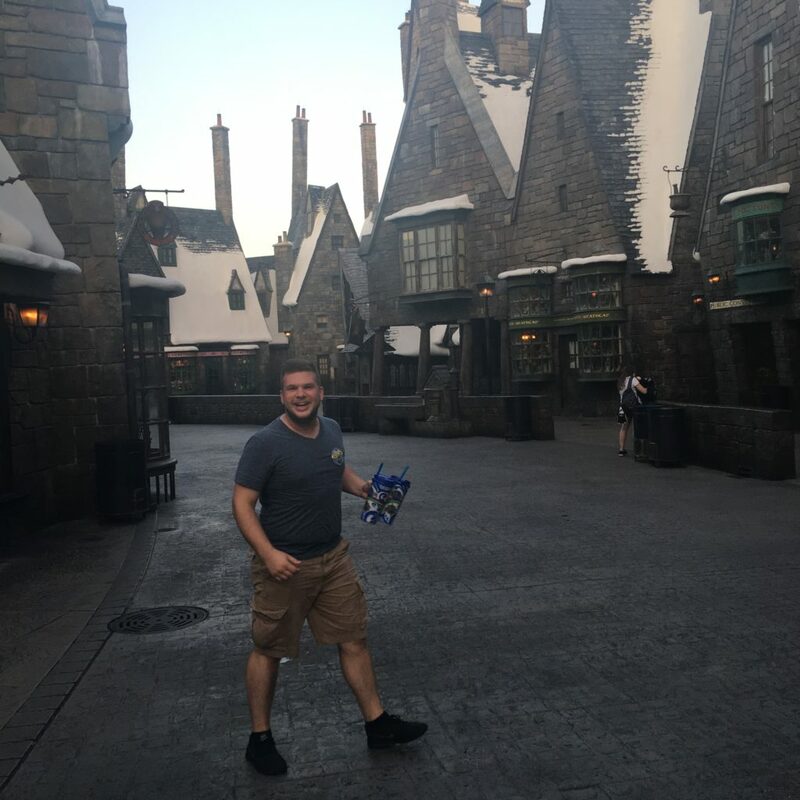 Since Dustin and I got into Hogsmeade an hour early (right at 8:00) we got to walk right onto the ride and although I felt a tiny bit woozy, I was able to walk off the ride, drink some water and continue on my morning without feeling awful! The ride itself is truly an adventure and I’m so glad I rode it once to experience things like facing the dragon and dodging the Whomping Willow! Tip-If you are prone to motion sickness and don’t want to actually get on the ride, still walk through the line and wait in the Childswap room for your friends or family. 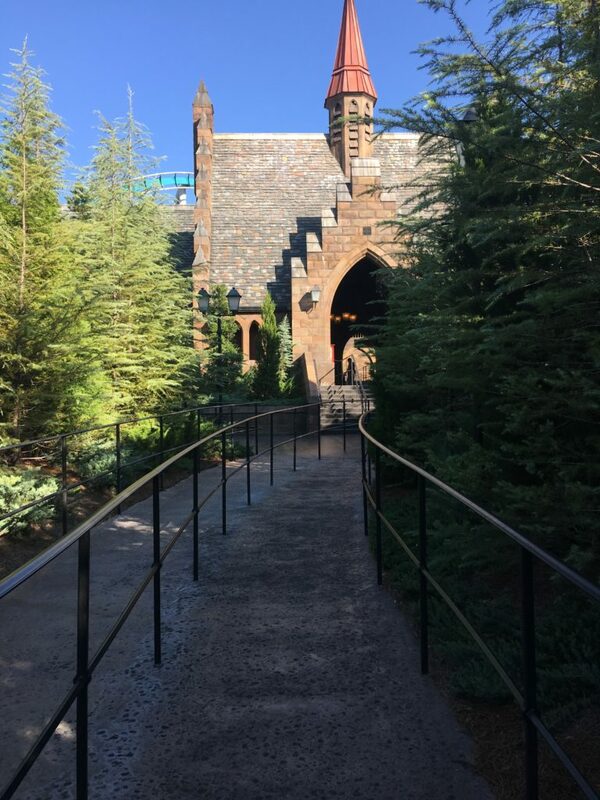 The line takes you through Hogswart Castle and you get to see so many details, including talking portraits and the sorting hat! Since Dustin and I walked right on the ride, we blew past all of these things the first time and I was so bummed! So, we went back at the end of the day when the wait was about 20 minutes and took our time walking through the castle and soaking in every detail. As you exit the ride, you will come out through Filch’s Emporium of Confescated goods. Part of this area is a gift shop, but it also holds some fun details, like the Maurader’s Map! Funny story – Dustin decided he wanted to ride HP and the Forbidden Journey one more time before we left the park for the day. I decided to wait in the Child Swap room because I didn’t want to push my luck with my motion sickness and I had a full belly of Butterbeer and Sweets. About 3o seconds after he got onto the ride, it broke down!! They had to stop the ride, turn on all the lights, and figure out what was wrong! Dustin was stuck in the middle of the ride for about 20 minutes, just hanging out! When they finally got it moving again and got him off, they offered for him to get right back on so he could ride it without interuption. Dustin was the LAST person on the ride for the day becasue of that and when we got out of the castle, we were the LAST people in Hogsmeade, because it was officially closed. Instead of rushing us out, the staff let us take our time walking through the village and even helped us take a couple pictures. It was an amazing end of the day to have the whole village to ourselve and to be surrounded by magic and music and snow covered roofs. Hogsmeade never felt more real than in that moment and we are so grateful that the staff were so kind in letting us slowly exit the park! Dragon Challenge 2/5 stars – This is a true-to-form roller coaster, with two coasters named after the Hungarian Horntail and the Chinese Fireball. Each coaster is slightly different and you can pick which one you want to ride when you get to the end of the ride. My husband LOVED these coasters, but I was only able to ride one as I suffered severe motion sickness from it. It took me over 30 minutes to recover from the motion sickness I experienced from the ride. However, it is still worth it to walk through the line, because it takes you through the story of the fourth book. The inital part of the part is lined with banners for the different champions and you walk past the Flying Ford Angela. Then, you walk through the tent from the first task and see the golden eggs, and proceed through all of the tasks and see the Triwizard cup at the end! Flight of the Hippogriff – This is a much tammer rollercoaster, aimed at smaller children, so Dustin and I didn’t ride it. 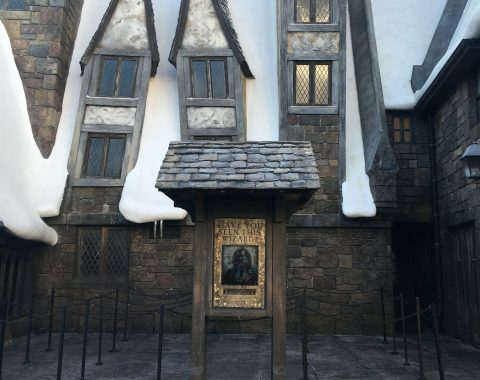 However, the same goes for walking through the line as the other rides-you get to see a lot of props and set from the movie, like Hagrid’s Hut and Buckbeak! 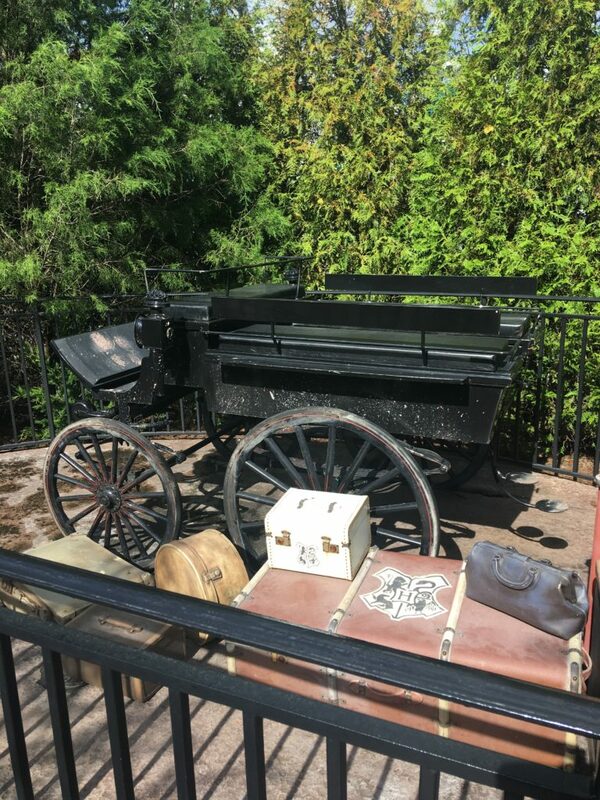 Hogswart Express 5/5 stars – This was SO well done and we were so surprised at how real the experience felt! In order to get to and from Diagon Alley, you first need a Park Hopper Pass (because Diagon Alley is in a different park) and you need to walk through to Hogsmeade Station. As you wait in the line, you’ll see a full sized scarlet engine complete with billowing steam pull into the station and you will be boarded into actual train compartments by conductors! After everyone is tucked into their compartments and the doors are closed, you’re off! You can look out your train window and see Hagrid waving you off! After, you experience all the sights and sounds of the countryside, complete with Fred and George flying by on their brooms, throwing fireworks at the train! The details that really got me, though, were the projectors on the actual doors of the compartment! You could see shadows of students moving up and down the corridor and even saw Harry, Ron & Hermonie walk by, talking to each other! You truly felt like you were on the train and it is MAGICAL! 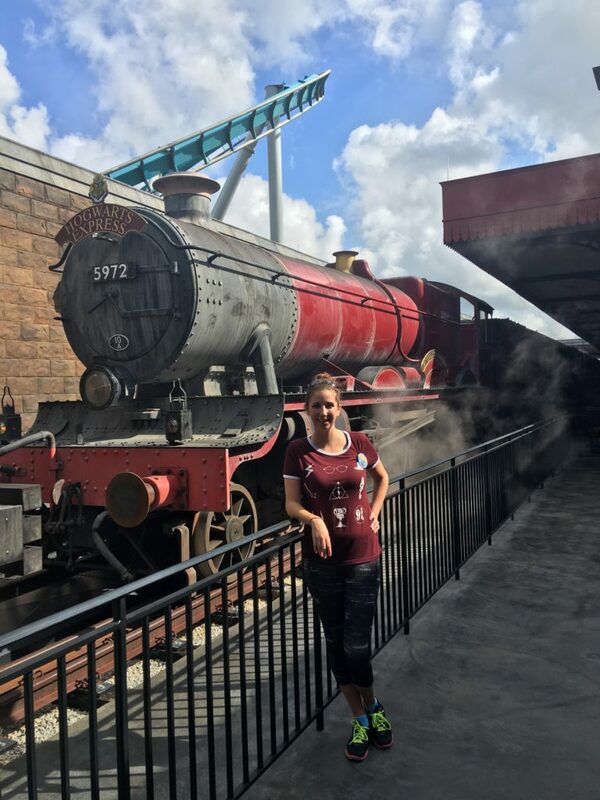 Tip-Make sure you ride the Hogsward Express BOTH ways (From Hogsmeade to Diagon Alley and Diagon Alley to Hogsmeade) because the ride is different each way!! Talk about attention to detail or what?! Going to the bathroom? Make sure you listen while you tinkle because you will probably hear Moaning Myrtle talking to you through the toilet! Dustin and I both heard her complaining while we took a bathroom break after lunch and came out of our respective restrooms laughing so hard! Have you Seen this Wizard? Just like in book three, when Sirius was on the loose, there are actual moving flyers from the Ministry of Magic posted around town. They are so perfectly done that you really feel like you’re looking at a moving picture of a mad man! Look for the owls! As we were sitting in the Three Broomsticks having our dinner, I kept seeing movement out of the corner of my eye up towards the roof. When I finally stopped to take a hard look at what it was, I was so surprised to see silhouettes of owls being cast across the ceiling, as if real owls were swooping in and out of the windows at the top! 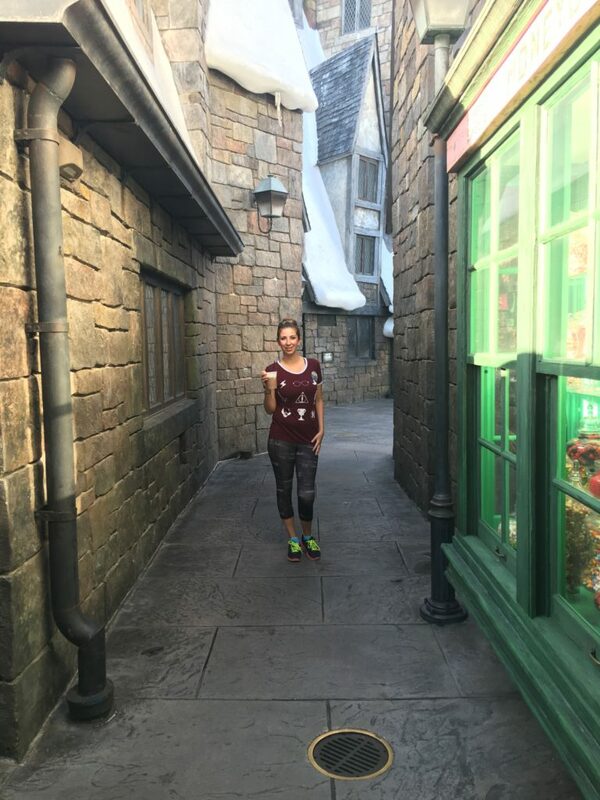 Explore the hidden Alleyways – You’ll find a couple hidden allies in Hogsmeade where you can see more shop windows and even find a carriage with an invisable Thestral trying to pull it out of some mud. 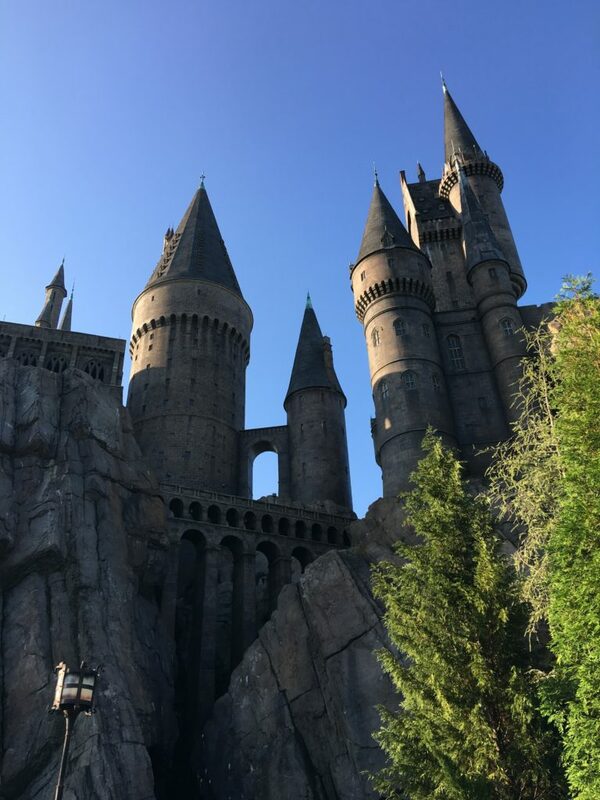 Take the time to tour Hogwarts – If you were like us and got on the ride Harry Potter and the Forbidden Journey first thing in the morning (and basically walked right on) go back and walk through the castle. There are SO many details in the ride que, including the Mirror of Erised, the Fat Lady (who will talk your ear off,) the hall of portraits talking to you (this was SO well done, I truly felt like it was real,) the Defense Against the Dark Arts Classroom & Dumbledore’s Office. You’ll also get a visit from Harry, Ron & Hermonie and Ron may try to perform a spell to make you invisible and make it snow instead! Yes, real snow! Also, since we rushed through the castle the first time we rode the ride, we didn’t get the backstory to what the ride was all about. So, it’s okay to have to wait in a little bit of a line the first time because the whole trip through the castle sets up the adventure for the ride! What ride would you want to go on if you could go to Hogsmeade? 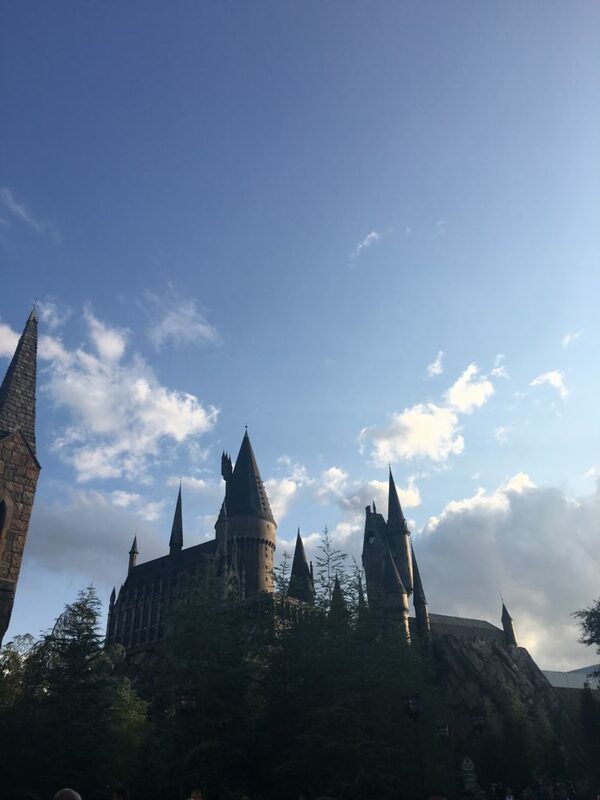 What other questions do you have about the Wizarding World of Harry Potter?